Helps businesses improve their operational and cost efficiencies by moving some of their business processes on to the cloud, thereby reducing their IT overhead. 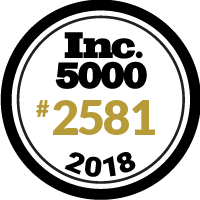 Very excited to rank for the 3rd year in a row on the Inc. 5000. Thanks to our customers, team and partners for another high-growth year!